Autumn seems to have made a wrong turn at Albuquerque, because it's sunnier, hotter and more humid than ever, over here in the land of the rising sun. Honestly, I'm curious to know what the weather is like where you are?! With that mini-climate rant out of the way, onto the mani post! I was going to skip on purchasing Lilis, since I own several coral polishes and how many coral polishes does a girl really need? The answer is...all of them! 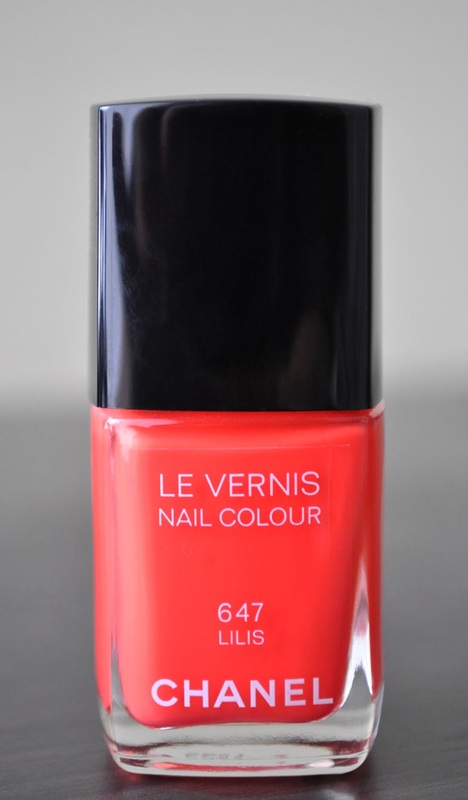 Lilis is a shiny, reddish-salmon coral with a lovely creme finish. I was quiet impressed that Lilis was almost opaque in one coat. However, you'll need to apply two coats to even out the tiny patches. 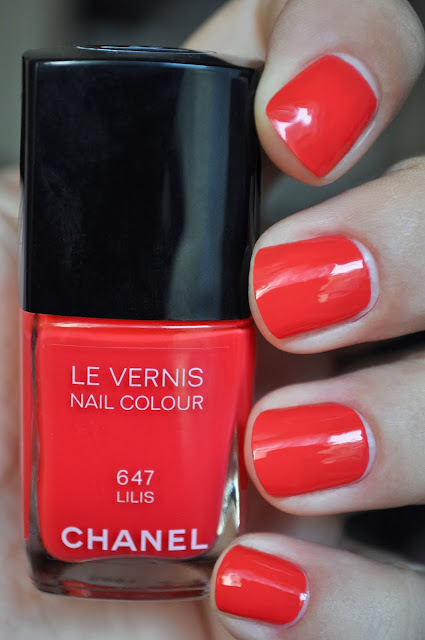 I get about 3-4 days of wear, and lately, that is pretty impressive for a Chanel polish. I decided against Lilis for the same reason you almost did. Now, I think I'd best find myself a bottle soooooon. It looks divine on your nails!! Were you able to get your hands on a bottle?